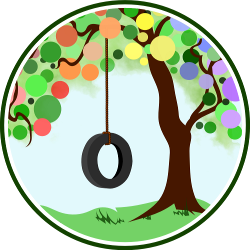 This entry was posted in Ecological Responsibility, Feeding With Love, Green Living, Healthy Eating and tagged vegan, vegan children, vegan kids, vegan parenting. Bookmark the permalink. When practicing natural and gentle approaches to raising a family, our relationship to food is bound to be considered amongst thoughts of sleeping, nursing, birthing, and family balance. As with most aspects of gentle parenting, families have a spectrum of possibilities to consider when thinking about how to feed and eat with respect and love. For some families it means taking steps towards mindfulness — thinking deeply about what we eat, when we eat, and how we cook our meals. Others endeavour to eat locally and organically, whether that is a plant-based diet or an omnivore option. Still other families adopt a vegan lifestyle, eschewing animal products in their diets. Of course, this path should not be viewed as the “best” or most natural path. It is simply one of the many ways of thinking and living a gentle and natural life with our children. Although there exist mountains of evidence that elaborate both scientifically and anecdotally on the benefits of a plant-based diet, for both adults and children, society is still quick to pounce on families who make the decision to raise vegan children. Despite access to healthful vegan products and a deeper social understanding of a vegan lifestyle, families may face harsh criticism from family, pediatricians, and the general public. Use some (or all) of the ten tips below to navigate the sometimes difficult path of being a vegan parent. There are some amazing blenders on the market these days that can help enhance the meals you offer your vegan kids. Adding kale to a spaghetti sauce or smoothie is made so easy with the aid of a blender. Food processors are also amazing additions to a vegan kitchen. The choice of blades allows you to make so much more than just a delicious smoothie. Let’s not kid ourselves. Serving most 3-year-olds a bowl of nutritional yeast isn’t going to go down too well. But, one of the great things about eating so many fruits and vegetables is that they lend themselves to having fun in the kitchen. Use celery covered in nutbutter for your traditional “log,” and goji berries to make some “vegan ants.” Use a whole grain bagel covered in organic marmalade to make a sunshine, add it to a plate with some broccoli trees and a house made out of pretzels! One thing that can really help vegan children who are attending school or homeschool cooperatives is to include lunch options they can share with their friends. Throw a few extra mini-pizzas or homemade pretzels into a lunchbox. Invite their friends around for a totally cool vegan picnic. 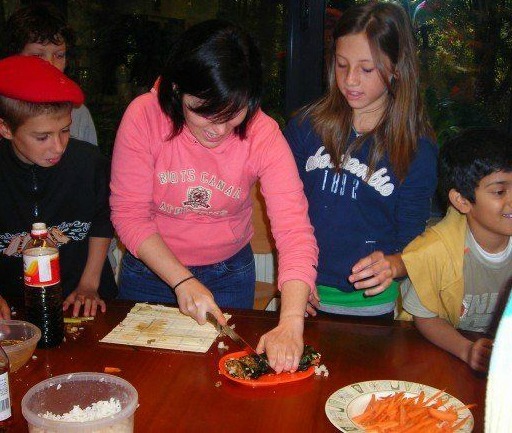 Consider hosting vegan family potlucks with friends and families from your neighbourhood. All children can benefit from healthy fats in their lives, vegan children included. Grab a jar of coconut oil and bake some beautiful chocolate chip cookies with it; use avocado oil in salads, and be sure to add flax oil to morning oats or smoothies. Essential fatty acids are crucial building blocks for growing (and aging!) bodies, so don’t be afraid to add these to your cooking. Your child’s brain will thank you. When well-meaning great aunts or not so well-meaning coworkers hear about your little vegans, be they in your belly or in grade school, be prepared to answer their concern about how unhealthy a vegan diet is by pointing out that in fact any diet can be unhealthy. Explain that you understand how undernourished a child can be if all they ate was oranges or tofu. But, counter this by reminding them that any lifestyle choice is unhealthy if not managed by balance. Suggest that by eating nothing but grilled cheese for two weeks straight would have a big impact on even the healthiest bowel, heart, and digestive tract. Vegan children need to eat a balanced and varied diet that includes protein, fat and carbohydrates. Show your well-meaning great aunt your well-stocked pantry and your most recent blood tests to help her understand that vegans do in fact eat an incredibly healthy diet. It comes down to being educated and aware of what you and your child need to consume, and finding the tastiest ways to meet those needs on a consistent basis. This is a question that makes any seasoned vegan laugh. First, the amount of protein that even a developing infant/toddler or child needs to thrive is much lower than our carb-hating culture likes to admit. Secondly, proteins are found in many, many plant-based organisms. Take spinach for example — it has a dramatic amount of protein packed inside its green leaves. 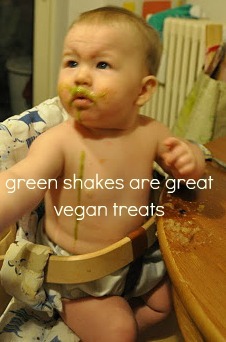 Spinach, kale, and sprouts are all great little additives to a child’s daily vegan shake. 7. Get the kids involved! This can be anything from taking them with you to the grocery store and picking out vegan ingredients, to letting them cook right alongside you as you make the world’s best vegan burritos. 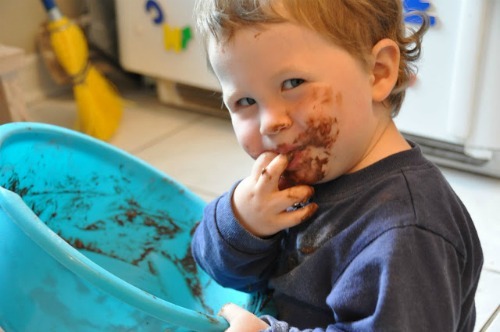 Like adults, children appreciate the chance to have ownership of the things that impact their lives, and what impacts us more than the things we put in our mouths? When your children are old enough, start talking about your reasons for being vegan. Ever heard, “What will they eat? Vegans only eat tofu and kale!” … and laughed? Vegan kids eat what all kids eat. Pizza, noodles, toast and nutbutter, tomato soup, apples, bananas, “milk” shakes. What they won’t be eating is perhaps the interesting question to ask these well-meaning friends and family who ask you this question. Moving outside of Western culture in cooking and baking our vegan vittles provides some tasty and educational results. Middle Eastern dips like hummus and baba ganoush are great entry points for talking about these cultures. Sushi is a great hit with vegan (and non-vegan) kids. Use avocado, pepper, and carrot to make some tasty maki. Or, try fruit sushi! This is your family and your choices. If you educate yourself and take the time and energy to ensure that you and your children are reaping all of the nutritional benefits of your choices — then forge ahead. You will find that many people support and share your decision to raise vegan children. Sadly, you may face negative, harsh, and sometimes mean comments from people. Stick to your guns, do your research, and do what you think is best for your children! Mindful and gentle nutrition, vegan or otherwise, is a journey. Like natural parenting, we need to be open minded and flexible in our expectations about what vegan-parenting will look like. Hunt out a support system, either online or in your community, adding to these tips and tricks for finding your family’s balance within a vegan lifestyle. I’m not vegan, although i have interest in the subject, i do however suggest you know what to say when people ask the protein question, I’ve made strides towards becoming vegetarian and i always get that darn question! I agree with you Lauren! I always mention that although we do in fact need protein, it isn’t as much as we tend to think it is. I always mention the great amount of protein we can get from leafy greens (esp. Kale and Spinach). Beans, vegan protein powders and soy alternatives are also great sources of protein. Thanks! We are vegan due to food allergies BUT were vegetarian before..well all but my husband. ;) We are still working on him. My 2 yr old son is allergic to milk and eggs so we do a lot of vegan foods. I was champion of the blender when he was a baby, and there’s several vegan products we’d never trade even if he were to grow out of these allergies. I often get the ‘what does he eat?’ question, and am used to rattling off a list of very normal toddler foods. I get more questions about his lack of calcium than lack of protein. People just can’t imagine raising a child without milk. He refuses all milk substitutes, so we get calcium mostly from almonds and green veggies. But nutrients are everywhere! If kids get a variety of whole foods, it’s hard NOT to get in all their nutrients. My son’s not totally vegan, but if he had to be it wouldn’t scare me. We’re so close now it’d be pretty easy to adjust.